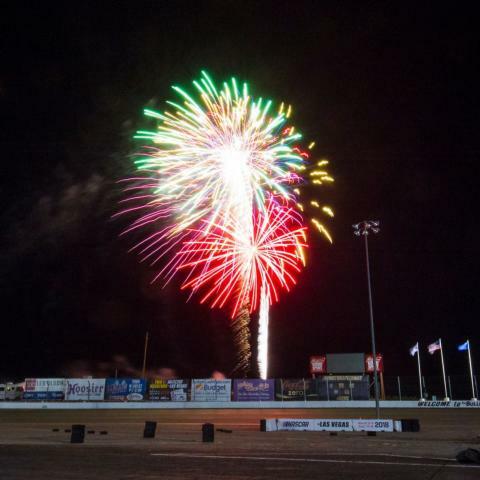 The Bullring at Las Vegas Motor Speedway will be the place to be on Tuesday, July 3, when the short track hosts the immensely popular Night of Fire. 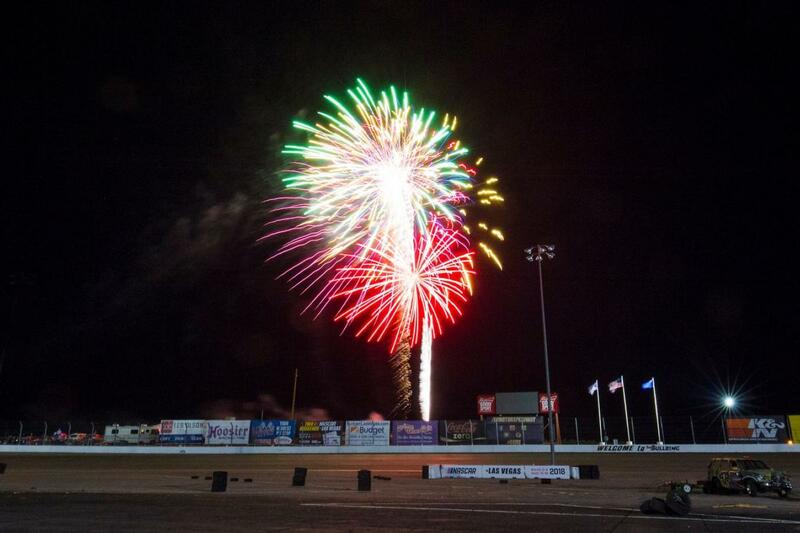 In addition to a full schedule of racing, the special night will include a Figure 8 Trailer Race, Skid Plate Car racing and a massive fireworks extravaganza after the races. The trailer race will award cash prizes for most creative decoration and most destruction for the driver who causes the most damage, as well as a $1,250 first-place winner's check. The evening's race lineup will be anchored by the 76-lap "Spirit of '76" feature in the NASCAR Super Late Models division. In addition to the NASCAR Super Late Models, NASCAR Super Stocks, Grand American Modifieds and Bombers, as well as USLCI Legends, Thunder Cars and Bandolero Bandits and Outlaws, will see action. The Night of Fire is The Bullring's final race until Aug. 25, when NASCAR Whelen All-American Series racing action will resume after a seven-week break to avoid the summer heat. That evening is the track's Back to School Night and will be the fourth-to-last racing weekend of the regular season for nine of The Bullring's 10 classes. One of the most affordable entertainment options in Las Vegas, the Bullring's annual series features family friendly concession prices that include $2 hot dogs and Coca-Cola products and $3 Budweiser beer. Spectators can also save money by purchasing admission tickets in advance by visiting or calling the LVMS ticket office at 702.644.4444 or online at LVMS.com, and children age 12 and under get in free with a ticketed adult. Gates open for spectators at 5 p.m. Pacific Time on Tuesday, opening ceremonies are set for 6:55 p.m. and racing follows immediately.